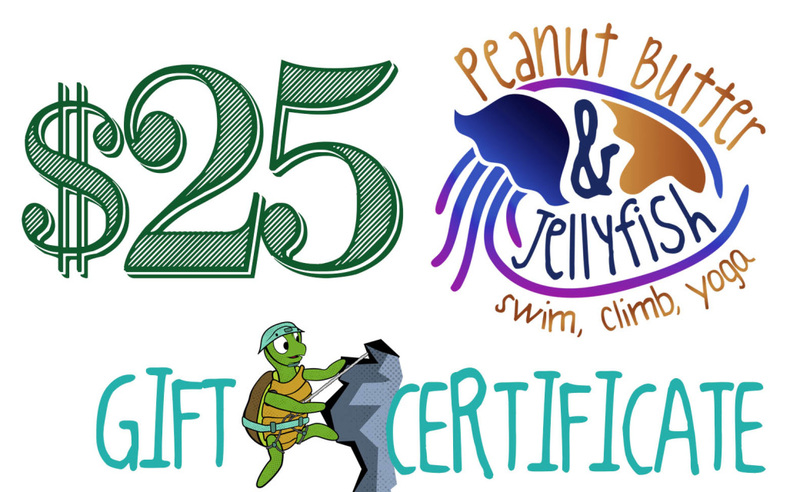 You can purchase gift certificates to be used towards any Peanut Butter & Jellyfish Services. You can choose to receive a printed physical certificate or a PDF. Your recipient can register for PBJ classes or events online and apply the certificate during registration. Please e-mail Megan at PBJellyfishinfo@gmail.com with any questions or to request a custom certificate amount. *This amount would cover a full month of 30 minute Climbing Lessons (ages 2-4). 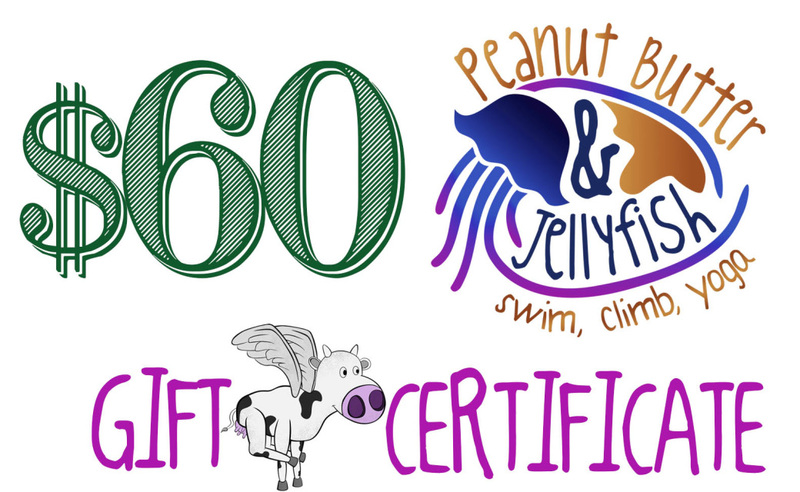 $60 Gift Certificate to be used for any PBJ services. Transferrable and can be split between multiple families. *This amount would cover a Drop-In Yoga class. 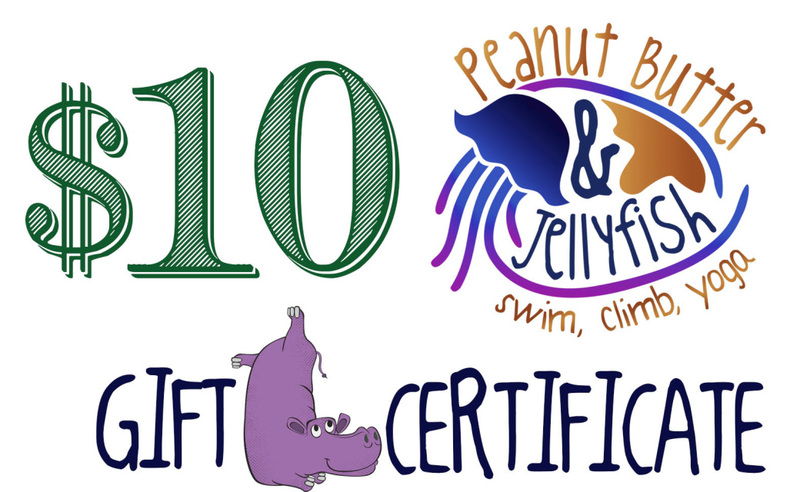 $10 Gift Certificate to be used for any PBJ services. Transferrable and can be split between multiple families. *This amount would cover a Climbing Taster Class, Full Month of 60 minute Climbing Lessons, and Climbing Gear Rental. 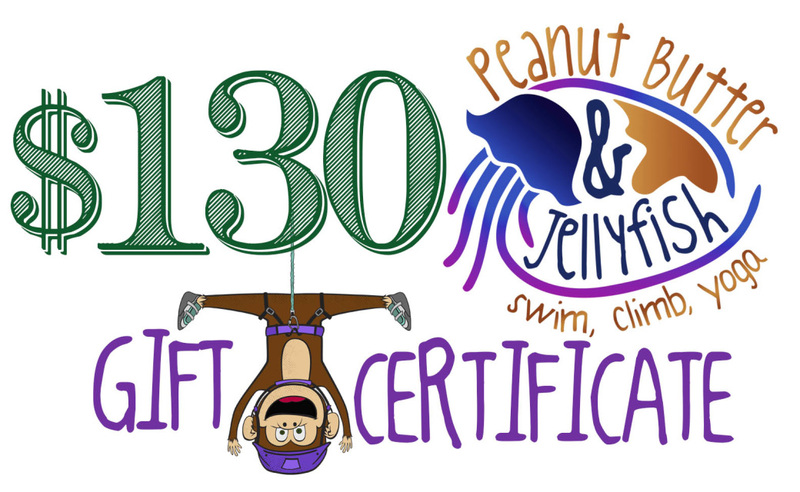 ​$130 Gift Certificate to be used for any PBJ services. Transferrable and can be split between multiple families. *This amount would cover any private Taste of PBJ class for first time students. **2x this amount would cover a full month of Toddler Movement Classes. $25 Gift Certificate to be used for any PBJ services. Transferrable and can be split between multiple families.